Jews around the world on Tuesday night began celebrating Hanukkah, the eight-day Festival of Llights. It has nothing to do with Christmas, it’s just celebrated around the same time. Known as the Festival of Lights, it’s to remember another miracle which dates back thousands of years. Hanukkah began after a war for religious freedom between the Jewish people and the Greeks. The small Jewish army won but not after their temple was defiled, leaving just a small can of oil that also miraculously provided eight days of light. Around the world, as sunset arrived, Jews in their homes and in community-wide ceremonies lit the first candle on menorahs, the nine-candle holders used for lighting first a special candle, and using that candle to light a candle noting each night of the holiday. 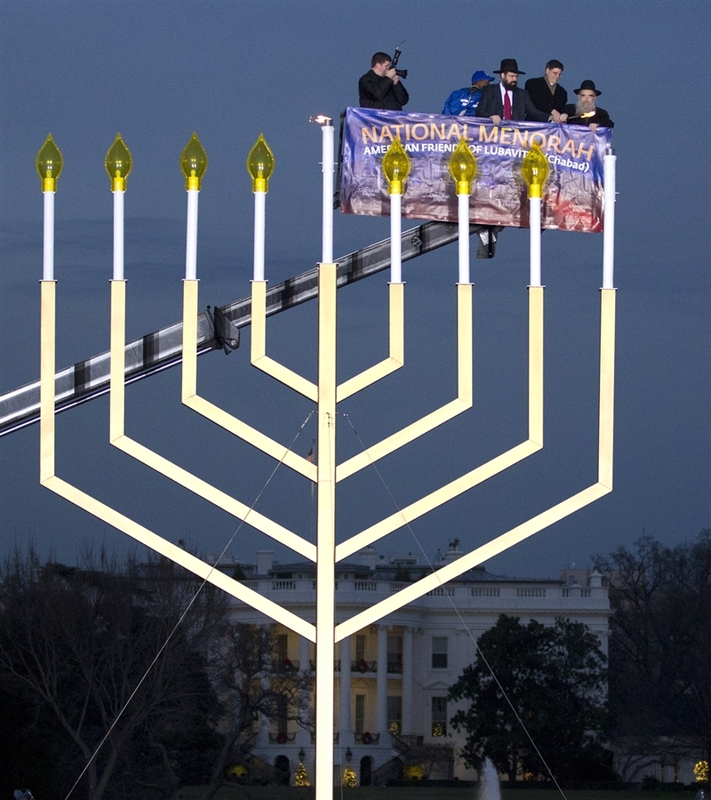 In Washington, D.C., Office of Management and Budget Director Jacob Lew helped lead the lighting of the National Hanukkah Menorah at The Ellipse. Similar ceremonies were held at Trafalgar Square in London and Jerusalem, Israel.